MOBILE, Alabama — Police have opened their 31st homicide investigation of 2013 after a 21-year-old man was found fatally shot early Monday morning. The victim, identified as Labaron Davis, was found in an apartment at Knollwood Apartments at 1651 Knollwood Dr. around 6:30 a.m., said Ashley Rains, public information officer for the Mobile Police Department. This entry was posted in Alabama, Dead, Man on December 30, 2013 by usgunviolence. LINCOLN, Alabama — Police are investigating a double homicide after two people were found shot Saturday, according to The Daily Home. Deonte Strown, 27, was found dead in the driveway of a home on Roberson Road after officers were called to a report of shots fired around 1:30 p.m. Saturday, police told the newspaper. Luann Storey, 46, died at a hospital after she was taken by a private vehicle. A Talladega County jury of eight women and four men spent just under two hours deliberating Tuesday before finding Jonathon Virgil Davis, 24, of Lincoln, guilty of attempted murder and shooting into an occupied dwelling. Davis now faces 20 to 99 years or life in prison on the attempted murder charge. According to Assistant District Attorney Christina Kilgore, Davis will be sentenced Sept. 15 by Talladega County Circuit Judge Julian King. Davis was charged following a series of events Dec. 28, 2013, that resulted in the deaths of two people: Deonte “Tae-Tae” Strown, 27, and Luanne “Belle” Story, 47. Davis’s victim in the attempted murder case was Strown’s brother, Brandon “Bam-Bam” Strown, who was involved in a relationship with Story’s daughter, LaShekia Knight, at the time of the incident. Knight’s sister, Diamond Knight, had a child in common with Deonte Strown. Story also had a son, James “Lil James” Knight, who was a witness, along with Antonio “Jarue” Tanner. On Dec. 28, 2013, Bam-Bam had his cousin, Shawn Collins, drop him off at LaShekia Knight’s apartment at Talladega Downs. Strown and Knight argued, and he left. Davis is not related to any of the Knights, but said he had known them since he was a child and considers the two daughters his sisters. Collins testified that Davis also showed him a gun. At this point, Davis drove to pick up Story, who had come down from Gadsden to get her grandchild, who had gone to stay with the Strown family after Christmas. The rest of the day’s events took place at the Strowns’ grandparents’ house on Roberson Road in Lincoln. Story demanded her grandchild, who was not there. She went into the house briefly, then came out again, and was locked out. The brothers had heard the commotion and came around. Brandon got a shotgun from the garage, which Deonte took from him. What happened next was disputed. According to the state’s version of events, Story and Deonte Strown fought over the shotgun, which went off and struck Story in the gut. She later died of her wounds. Davis then shot Deonte Strown, knocking him down but not killing him. At this point, Deonte Strown tried to sit up and move toward the shotgun before being fatally shot in the head by Davis. This entry was posted in Alabama, Dead, Domestic Violence, Multiple Shooting, Woman on December 28, 2013 by usgunviolence. This entry was posted in Alabama, Dead, Domestic Violence, Man, Multiple Shooting on December 28, 2013 by usgunviolence. MONTGOMERY, Alabama — Bond was denied for two suspects charged with three counts of capital murder in the multiple shooting at Centennial Hill Bar & Grill on Dec. 28. Their cases were bound over to a grand jury. Local rapper Glenn Thomas, also known as Doe B, 22, Troy University student Kimberle Johnson, 21, and Timnorius Hamilton, 20, were shot to death during the mayhem at the club. Detective Andy Magnus testified that Darius Thomas was angry at Doe B because the rapper had refused to help him get into the club as the rapper and his entourage walked past him and others standing in line at the club that night, the Advertiser reported. Shortly after entering the club, Doe B took the stage to perform. Darius Thomas, McWilliams and others then apparently began throwing gang signs and yelling “South Side,” “Four Way” and expletives against the rapper, Magnus said during court testimony. South Side and Four Way are local gangs. 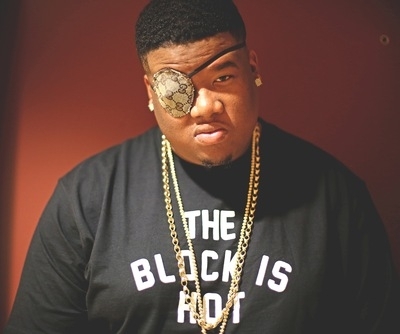 Darius Thomas and Doe B soon ended up face-to-face and apparently Doe B shoved Thomas in the face. Thomas then raised his armed to knock his hands away and a bottle went flying. Magnus said witnesses told police McWilliams later began “shooting erratically across the crowd,” while Darius Thomas began shooting from the stairs, fell to the base of the stairs and continued shooting from the floor. Six other people were wounded by gunfire and are in stable condition. MONTGOMERY, Alabama — The family of slain Montgomery rapper Glenn Thomas, also known as Doe B, has filed a wrongful death lawsuit against the proprietors of the nightclub where he was gunned down on Dec. 28, 2013. Doe B, 22, Troy University student Kimberle Johnson, 21, and Timnorius Hamilton, 20, died from injuries in the shooting. Six others were wounded. Montgomery police charged two suspects, Jason McWilliams and Darius Thomas, both 25, with three counts of capital murder. Police say the men fired shots inside the club after an altercation with Doe B. Attorneys Dwayne L. Brown and Michael Strickland filed the suit on behalf of Thomas’ father, Kenneth Aaron, seeking an unspecified amount of money in damages in Doe B’s death, the Law Office of Dwayne L. Brown stated in a press release. The suit, filed against Centennial Hill Bar & Grill, its owner Nicole Bankhead, an unnamed security company and the city of Montgomery, alleges security officials at the club were bribed and allowed certain patrons to bring firearms into the club. Rapper Glenn Thomas, 22, known as Doe B., and Kimberle Johnson, a 22-year-old Troy University student, were fatally shot in the club in the early the morning hours of Dec. 28. Timnorius Hamilton, 20, died from his injuries on Jan. 3. Five others were wounded and were hospitalized in stable condition. Doe B, born Glenn Thomas, and Kimberle Johnson, 21, also of Montgomery, died after gunfire erupted at the bar around 1 a.m., police said. On December 28, 2013, Doe B was shot at the Centennial Bar and Grill in Montgomery, Alabama. He was rushed to a nearby hospital where he was pronounced dead. 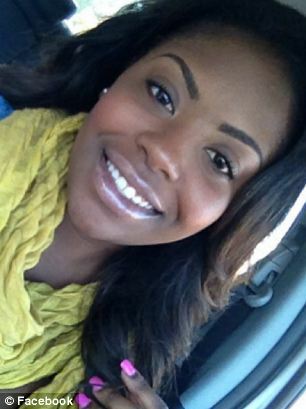 A bystander, Kimberlie Johnson, was also killed, and six other patrons were injured. The Centennial was housed in what was earlier known as the “Rose Supper Club”, which was the subject of a shooting in December 2012 that left six people injured. It had also been the location of multiple shootings over the past seven years. The name of the venue had been changed after the most recent incident. After the latest shooting, Mayor Todd Strange ordered the club to close immediately. On December 30, 2013, 25-year-old Jason McWilliams of Montgomery turned himself in to MPD detectives. He would then be charged with two counts of capital murder and is being held without bond. Montgomery Police Department detectives concluded that the “shooting stemmed from an ongoing dispute between McWilliams and Doe B.” A second local 25-year-old man, named Darius Thomas was also arrested for the murders and charged accordingly. On January 3, 2014, a third shooting victim 20-year-old Tim Hamilton died from the gunshot wounds. Doe B’s funeral was held in Montgomery, Alabama on January 4, 2014. T.I. spoke at the funeral praising Doe B and speaking about how bright of a future in music he really had. On January 11, 2014, it was reported that three of the five surviving victims of the shooting were suing the Centennial Hill Bar & Grill. The plaintiffs Keldric Landon, Clarence Young, Jr. and Ferro Bennett have filed lawsuits against Centennial, The Flight LLC, its owner Nicole Bankhead, and the club’s security company. Landon was the most injured suffered multiple gunshot injuries requiring surgery. All three victims claimed in the lawsuit that the club’s bouncers were bribed into allowing weapons into the building. They are seeking compensation for medical expenses, loss of work, and pain and suffering. On September 30, 2014 it was discovered that someone had tried to disturb Thomas’s grave. His mother has expressed concern and is considering moving his body to an unmarked grave. This entry was posted in Alabama, Man, Mass Shooting, Multiple Shooting, Wounded on December 28, 2013 by usgunviolence. This entry was posted in Alabama, Dead, Man, Mass Shooting, Multiple Shooting on December 28, 2013 by usgunviolence. This entry was posted in Alabama, Dead, Mass Shooting, Multiple Shooting, Woman on December 28, 2013 by usgunviolence.